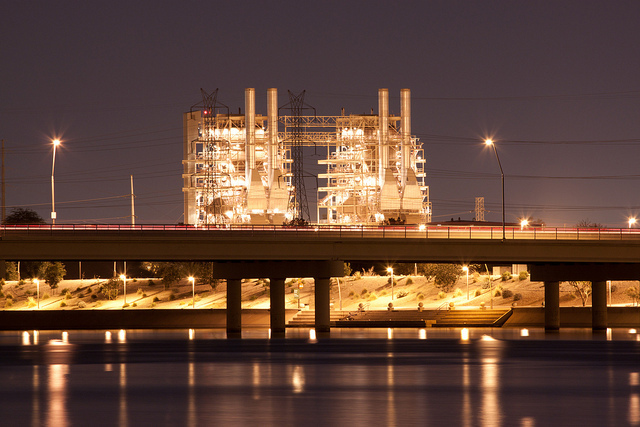 Use of natural gas to fuel power plants is on the rise and expected to continue its growth. Natural gas has long been considered the most viable fuel for new electricity generation. The U.S. Energy Information Administration (EIA) projects an increase from 24 percent in 2011 to 27 percent in 2025 and 32 percent by 2040. “Power companies are increasingly switching to natural gas to fuel their electricity plants, driven by low prices and forecasts of vast supplies for years to come” says Rebecca Smith, of The Wall Street Journal. According to the EIA, natural gas-fired plants accounted for 77 percent of all new generating capacity in 2013. In the EIA’s projected base case natural gas-fired plants account for 63 percent of new capacity from 2012 to 2040, compared with 31 percent for renewable energy, 3 percent for coal, and 3 percent for nuclear. Natural gas fueled power plants are attracting attention and comments, both positive and negative. As the White House prepares to unveil the first rules limiting carbon emissions from power plants, The 2014 Benchmarking Air Emissions report, recently published by Ceres, a Boston-based sustainability advocacy group, details the decline in carbon dioxide and other pollutants from U.S. power plants, but finds state and power company emissions vary widely. “The electric power industry is firmly on the path toward a low carbon energy future, and history shows that it is not only capable of meeting new pollution limits, but that it can do so while keeping our lights on and our economy growing” said Ceres President, Mindy Lubber. CO2 emissions have decreased in recent years, declining 13 percent between 2008 and 2012. Energy efficiency improvements, displacement of coal generation by natural gas and renewable energy sources, and slower economic growth all contributed to the decline. Among the 100 largest companies, natural gas use rose from 23 percent of power produced in 2011 to 29 percent in 2012. Across the entire electric sector, natural gas use has increased 60 percent over the past ten years, reflecting relatively low natural gas prices. Across the entire electric sector, electric generation from renewable energy sources increased 31 percent since 2010 (by more than 50,000 gigawatt hours) even as total electric generation declined modestly. Continued expansion of utility energy efficiency programs has contributed to significant reductions in demand for electricity in certain regions, such that demand growth has been flat to negative nationally in recent years. Energy efficiency programs grew to $8.2 billion in 2012, with average savings of 2 to 4 cents per kilowatt hour, compared with the average retail price of electricity at 10 cents per kilowatt hour. While many Americans support reduced emissions and safeguards for the environment, as well as the use of natural gas to help achieve them, some areas of the country are expressing real concern about what they perceive as dependence on natural gas. Residents of New England, who currently get more than half of their generation from natural gas, believe dependence on natural gas to be causing increasing electricity prices and reliability issues, according to Gerry DeNotto, of EnergyBiz.com. DeNotto advocates a mix of fuel sources for New England’s power generation as well as dispassionate discussion about the risks and benefits of relying too heavily on one source (natural gas) for its power generation. A new MIT Energy Initiative (MITEI) analysis, published in early May, discusses the challenges arising from the growing interdependency of natural gas infrastructure and the electric distribution system and offers possible solutions for the policy, investment and energy communities. The analysis recommends creating incentives for dual-fuel capabilities at new power plants, and using fuels with separate supply chains to help provide more predictable and reliable power at natural gas fuel power plants. Most importantly, due to the growing need to meet demand in real time with little or no storage, improving the coordination and communication between the natural gas market and the electricity market is critical. Finally, “The supply and demand landscape is rapidly changing. To meet these changing needs, both the natural gas and electricity sectors need to adapt,” says Richard Schmalensee, the Howard W. Johnson Professor of Economics and Management Emeritus at the Sloan School of Management. While there is controversy over the potential of over-dependency on natural gas for electric power generation, natural gas continues to be the cheapest, fastest, and most viable solution at hand for diminishing our carbon footprint and replacing retiring power plants. The future for natural powered plants looks bright.